Daisho are pairs of swords worn by the Samurai. 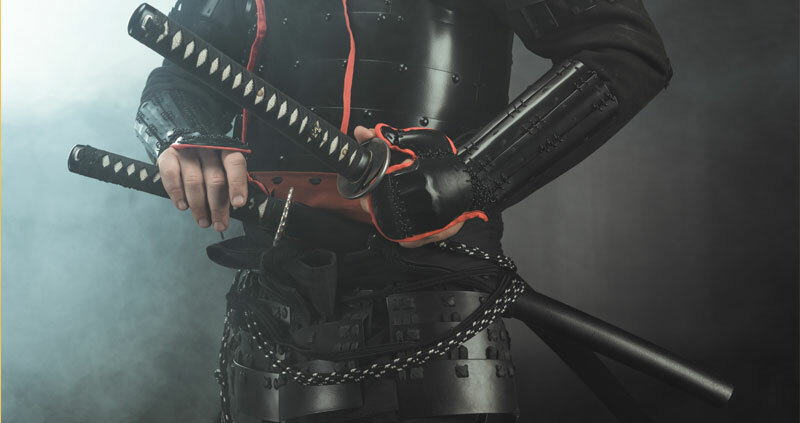 This Samurai Armor takes its name from two words that depicts long and short sword. Any pairs of swords of different size are also referred to as Daisho. Orders can be placed for matching blades. It was not required for a Samurai to carry two swords since this is more expensive. Wakizashi became the choice instead of Tanto because it was suitable for indoor fighting as part of the Samurai Suit. The Katana was usually left before entering a castle or palace however, wearing a Samurai Armor like the shorter sword is allowed for protection on surprise attacks. It was in the 17th century when the famous swordsman Miyamoto Musashi promoted the use of these pairs of swords during battles. The use of Daisho was limited to the Samurai class as it became a symbol of the badge of their rank. An edict even came out that required the duties of the Samurai to wear these swords when in official duty. However, by 1871 another edict came out abolishing the wearing of pairs of swords. By 1876 prohibits the wearing of swords in public. When the Samurai class was abolished there was no need for a lot of swords. Samurai named their swords as a form of devotion. These blades are said to be an extension of his soul. They dedicate their lives to the combat arts of Bujutsu. The sword becomes a symbol of history and heroic deeds of these Japanese warriors. The length of these swords changes over time. As battles evolved these swords also change. These were stored in a white scabbard. If this was neglected these were damage and weakened. 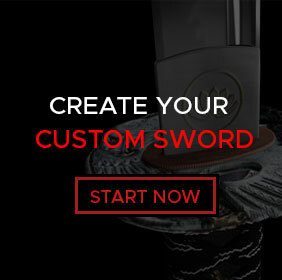 Swords can be customized to embed the personality of the owner. This applies not just in the past but, from the present as well. The Samurai weapons were an important aspect of life Samurai life. Their swords are tested on corpses of criminals before they were sold to Samurai. Genuine Japanese steel is referred to as tamahagane. Since these swords are folded several times removes the impurities from these swords. This makes the swords tough and durable. He uses his pair of blades for close quarter combat situations and even during ceremonies. Some Samurai uses their sword for seppuku or ritual suicide this clearly breaks the virtues of Bushido. These are handmade swords. In todays world for collectors there is a question of which reason to buy these swords. Is it for its functional or ornamental purpose? There is also a question of upkeep and maintenance. If it is about function, these are used for martial arts practice and cutting. For functional Daisho swords the materials needed are either carbon or spring steel. Ornamental pieces are made from stainless steel. Steel when properly heated creates a blade that is both flexible and withstand impacts. The handle is constructed in a traditional manner. Functional swords are sharp while ornamental ones do not require sword sharpness. This entry was posted in Samurai Suit and tagged Daisho, Samurai Suit.